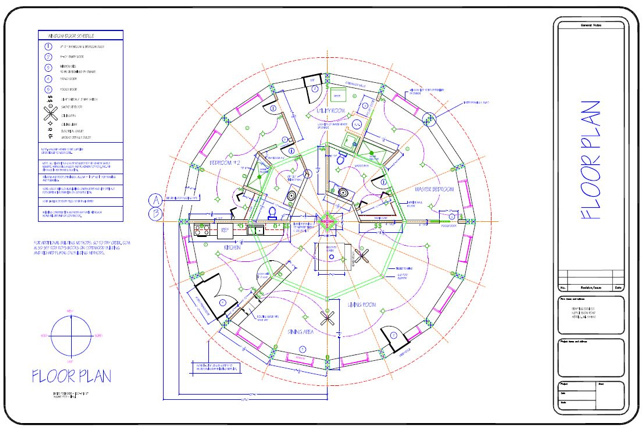 Architectural Plans: These usually cost thousands, but are very well received by bank and code officials. 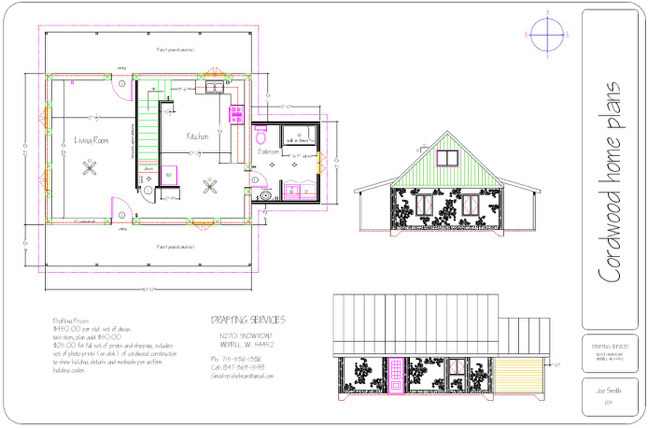 Engineered Plans: These have close to the same clout and cost about the same, but have the advantage of having the engineer working with the building inspector on stress tolerances and the like. 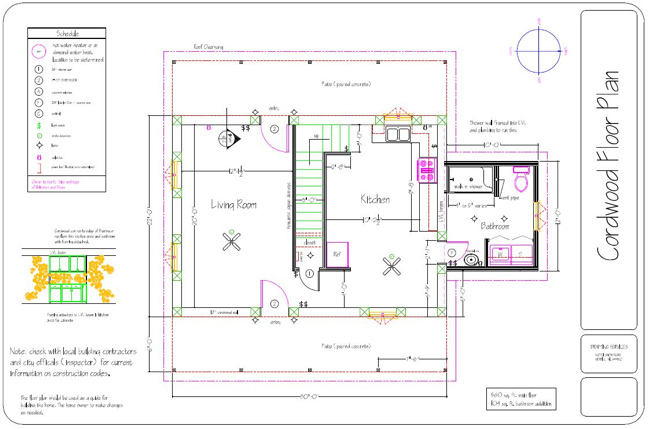 Draftsman: These plans are acceptable for many code/inspection departments. The often cost a fraction of what architects and engineers charge. If you can find a draftsman that is familiar with cordwood, you can save yourself some serious money. As luck would have it we have a local Draftsman who lives in Merrill, Wisconsin and he lives in his own cordwood home. So explaining the cordwood part is not necessary. He has had many of his plans approved in Wisconsin and many other states. 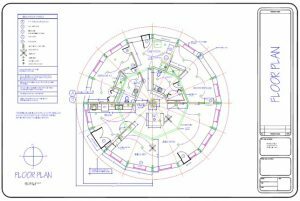 Rob Pichelman has a large file of code approved plans that you can look at to see if any of their features fit your ideas. He will modify any plans to meet your desires and will work with the code officials to satisfactorily answer their questions. Includes: Set of photos for code officials. Below are a few samples of Rob’s work. If you see something you like, send him an email or give him a call.